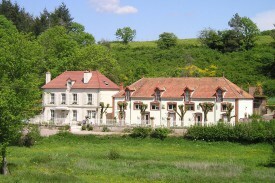 In the heart of Burgundy lies a charming, hilly area between the vineyards of the Côte d’Or and natural park Le Morvan. 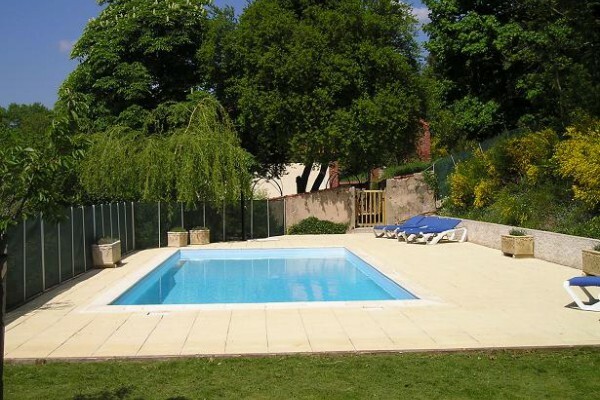 Manoir Bonpassage is located in the countryside amongst picturesque French villages in a peaceful setting. Manoir Bonpassage is a restored 19th century manor house with its own special style and character on the edge of the village of Thury, surrounded by cultural and natural beauty. 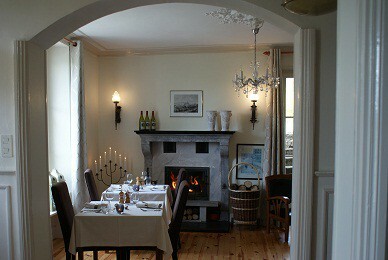 Karel & Marja Brummer, the Dutch owners, will be pleased to welcome you in a warm and personal ambiance. Manoir Bonpassage has 8 comfortable rooms. Furthermore, ManoirBonpassage has a lounge, where you can relax after an active day. 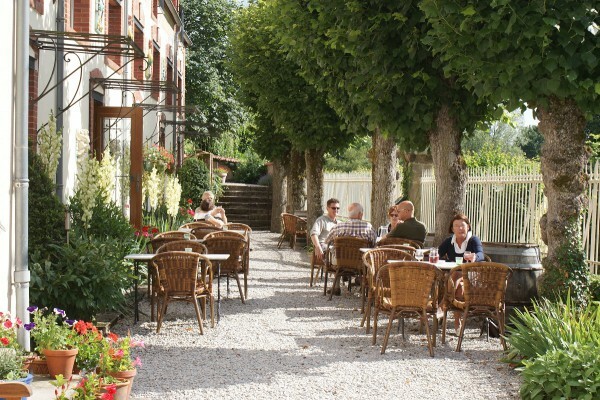 Here or on the garden terrace, we will be pleased to serve a variety of drinks; from a small espresso to a good glass of real burgundy wine. Of course, you can also take a refreshing plunge in our swimming pool. In our small and cosy dining room or on the terrace, a quality ‘home cooked’ dinner is served upon reservation on Monday, Wednesday, Friday and Saturday. The rolling hills provide excellent opportunities for trekking on foot or cycling. The roads are quiet and there are special circuits for mountain bikes. From Manoir Bonpassage, there are local trails through the direct surroundings. And if golf is your game, there are several excellent courses within half an hour’s drive. We will be pleased to help you organize your daytrips to renowned cultural sites in theBurgundy region, such as the famous Hôtel Dieu in Beaune, the Burgundy vineyards, the old towns of Autun and Dijon with their covered market places (les Halles). There are a lot of castles in the region, some of which can be visited. Concerts regularly take place in historical buildings or old churches. And for those who love to visit churches, you can find beautiful little Romanesque churches and chapels in the surroundings as well as the wonderful cathedrals of Vézelay and Autun and the abbey of Cluny. DOWNLOAD OUR FREE APP ON GOOGLE PLAY OR APP STORE. SEARCH FOR 'BONPASSAGE'. 4 twin rooms on the 1st floor with bath/shower/toilet - 90,50 euro per night, inclusive of a generous breakfast-buffet for 2 persons. 1 very spacious twin room on the ground floor with shower-toilet, lounging area and an entrance to the terrace - 111,00 euro per night, inclusive of a generous breakfast-buffet for 2 persons. Every morning, you can enjoy a generous breakfast-buffet in the lounge or on the garden terrace. Of course, French bread, croissants, creamed butter and jam are not omitted, but you can also try some muesli, yoghurt, a soft boiled egg or a glass of fresh orange juice. On Monday, Wednesday, Friday and Saturday evening we serve upon reservation a 4-course dinner - 27 euro per person. No experiences yet with Manoir Bonpassage. Be the first! Did you stay in Manoir Bonpassage? Let us know what you thought about it and help others to make the right choice! * I confirm having stayed in Manoir Bonpassage. Find other charming hotels in Thury, all charming hotels in Côte-d'Or or all charming hotels in Burgundy.